Model 018 of the Dojo Pro series is the 'Morinohana' - or forest flower, featuring a rich green silk ito wrap and sukashi tsuba featuring 4 circles, the symbol of the fragility and beauty of life expressed by the forest flower. 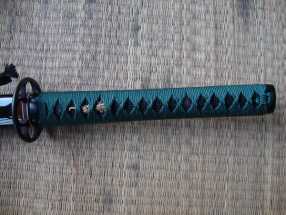 The tsuka/handle assembly itself is exceptionally tight and well put together, double pegged with green silk ito wrapped over REAL rayskin, wrapped around a quality wooden core in the traditional alternating style to ensure it remains tight despite frequent usage. 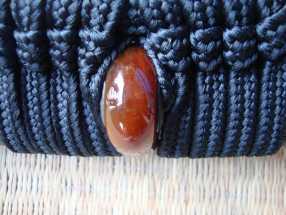 The saya (sheath) itself thick and made from quality wood - lacquered a deep and rich black which - along with the Kurikata and Kojiri, are made of hand cut and polished buffalo horn, finished off with a hard wearing length of black synthetic silk sageo (cord) so it can be secured to your obi (belt). All of the reviews and guides on the website are very helpful. 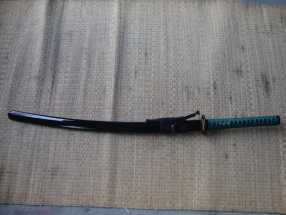 My katana arrived promptly, and for the most part is exactly as advertised. For the model 18, the green wrapping may be a different material than the standard black. It melts when I take a lighter to the ends making me think it's probably not silk as advertised. Personally, I don't really care either way, so that's fine. As far as appearances, it's as attractive or more than the photos. The kashira was a little loose. I undid the knots, tightened it, and selected a traditional, but less decorative knot from a tsuka-ito website to retie it. For cutting, I've gone through pumpkins, cardboard, and lots of #1 and #2 plastic bottles. Very little scratching, which was mostly from the cardboard I suspect. No edge rolling or nicks. The ray skin could be wider. Occasionally you'll see the light colored wood peek through if the wrappings shift. 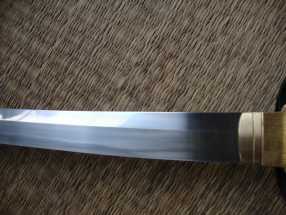 Alternatively a dark coating on the tsuka wood would make it less visible if that occurs. 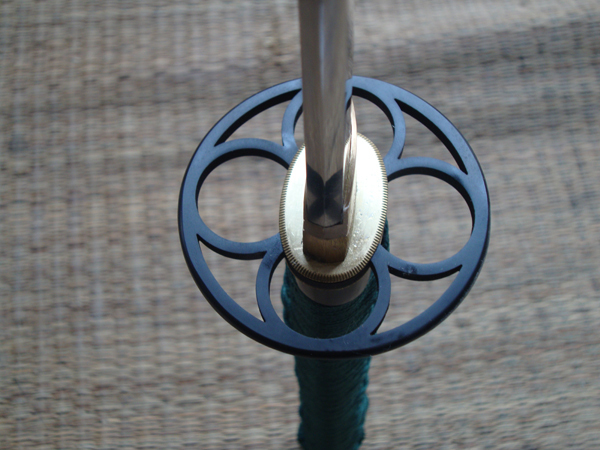 The sageo is wrapped to prevent fraying, but it didn't hold on mine. It frayed, I had to cut and rewrap mine. 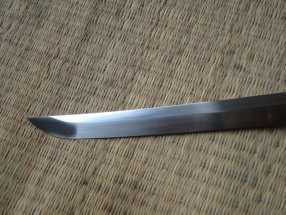 The lacquer on the saya is rather thin and delicate. I chipped my pretty quick, but was able to repair it with some matching gloss enamel. So mostly trivial issues related to the fittings. 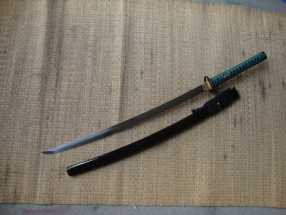 The blade itself is durable, sharp, and cuts like a light saber.